Sadly, the South African consumer seldom complains about sub-standard service. Perhaps that’s because we’re trying to be polite, or because we’re concerned our comments may not be well received. It’s a shame really because, by our silence, we really condone poor service. I’m writing this whilst in Australia at a Harcourts International Conference. We can learn a thing or two from the Australian consumer. One thing that’s instantly obvious when you arrive in Australia is that the general service standard is impeccably high. The reason? Constructive criticism when the customer experience is poor. It’s called feedback, and without it a business owner will be oblivious to the problems that need attention. The key is in the way the consumer expresses himself. 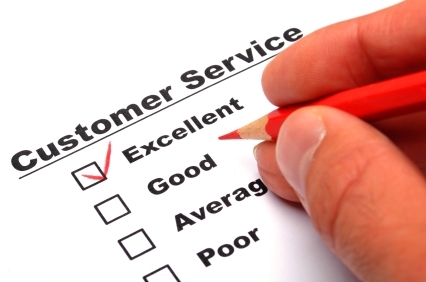 I’ve seen firsthand how the customer expresses his dissatisfaction – firm, polite, and controlled. What’s even more impressive though, is the way management accepts the feedback – almost welcomes it – and does something about it. The process is beneficial both to the consumer and the business owner, who is then constantly improving his offering. Yes, I know we have this in South Africa too. But I’ve also seen how management gets defensive, makes excuses, and minimizes the consumers’ opinion. The same is true in real estate. The general service offering from Australian real estate companies is exceptional. It’s the product of years of consumer feedback and the way it’s been positively received and acted upon. In South Africa we have seen service level improvements in some areas, but it’s often at a very slow pace. So how can we accelerate it? By politely speaking up when we’re not satisfied and expecting the situation to be fairly resolved. If management doesn’t take reasonable steps to rectify the problem then take your business elsewhere. It’s simply not acceptable to make empty promises and avoid the consequences of non-delivery. Property sellers’ are entitled to receive the marketing of their property that an agent promises. They are entitled to regular and honest market feedback. They are entitled to an honest estimation of the market value of their property – not some fictional figure pulled out of the sky. 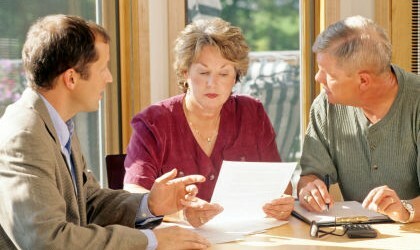 And when it comes to negotiating offers, both seller and buyer are entitled to an honest and transparent process. This is not the place for games and scheming. There needs to be a forum of trust and respect upon which fair negotiation can take place. In many cases estate agents deliver exactly this – but not always. If you’re not getting what you deserve then speak up. Expect a resolution. And if you’re not happy, then take your business elsewhere. This process will help improve service levels. Ask for more. You deserve it! Next Post Do I Buy or Do I Rent?